Medical devices made from polymeric materials come in contact with blood in a wide range of applications, including stents, artificial vascular grafts, hemodialysis membranes, catheters, and sutures, among others. 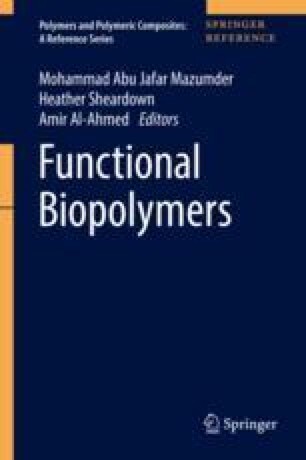 In this chapter, an overview of the ongoing investigations with blood compatible polymers is provided. A summary of polymers used in blood contacting devices will be given, followed by details focusing on each of the types of polymers that are most commonly used. Furthermore, a description of the efforts made in improving the blood compatibility of these polymers will be provided, as most synthetic polymers are required to go through some level of modification in order to be used in blood contacting devices. Most modification strategies address the changes in surface properties of these polymers with the aim of controlling the interactions between blood components and the polymeric surface. Among these modification techniques, use of bioinert molecules, bioactive molecules, and a combination of the two molecules are the subject of most studies.